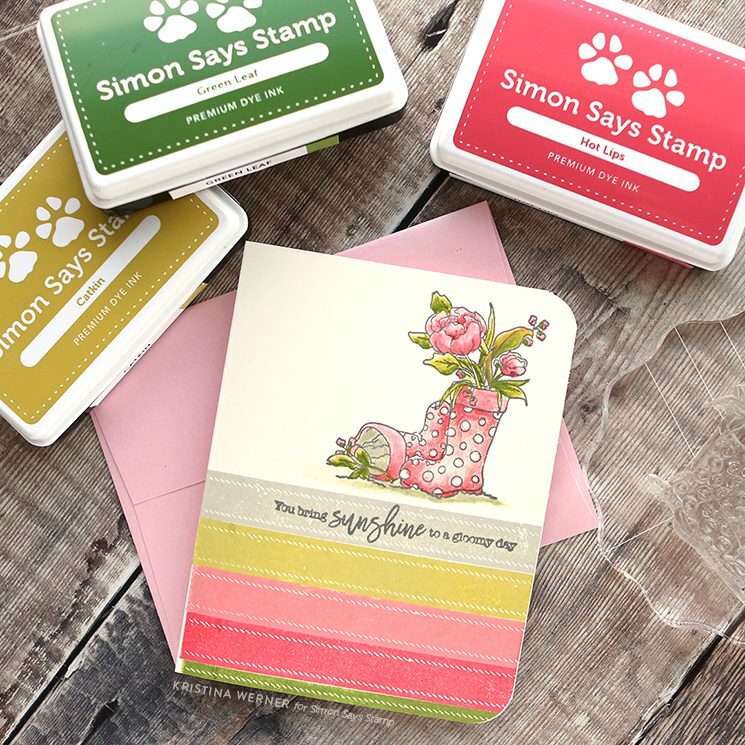 NOTE: The post is sponsored by Simon Says Stamp. Happy Saturday, all! I’m back today with some more inspiration featuring the March 2018 Card Kit! This kit is packed with SO much stuff that it was hard to narrow down what I wanted to use! In the end, I decided to create a one-layer card using the two stamp sets, inks, and a blender pen. I first stamped the bunny image from the Showers and Flowers stamp set onto a cream notecard from the kit. I stamped it in VersaFine Clair Ink in Morning Mist. I colored the image using a blender pen (I’ve linked a Dove Blender pen below because that’s what I recommend, however in the video I used a clear blender from Tombow because that’s what I had on hand) and five different ink colors: Green Leaf, Stone, Catkin, and Hot Lips from Simon Says Stamp, and Wild Rose from Lawn Fawn. 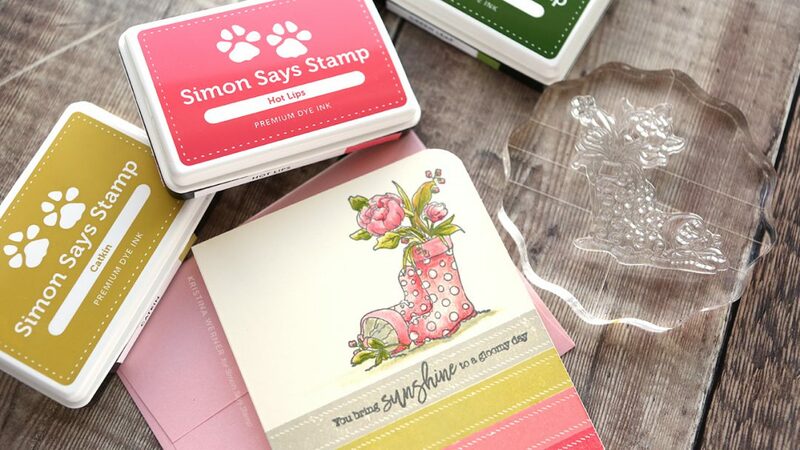 I used the same ink colors to stamp the ribbon border stamp from the Choose Joy stamp set on the bottom half of the card. I also stamped a greeting from that stamp set in the Morning Mist ink. 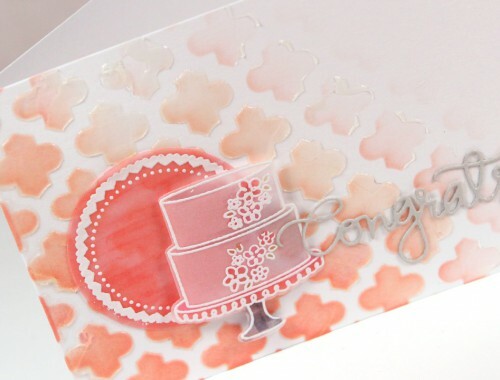 To finish off the card, I added shimmer using the Nuvo Glitter Glaze brush pen from the kit to the pink areas on the coloring. I hope you enjoy the video! Thanks for stopping by today! You can get the March 2018 Card Kit HERE, or subscribe to receive this kit and future kits HERE.